Environmental education. 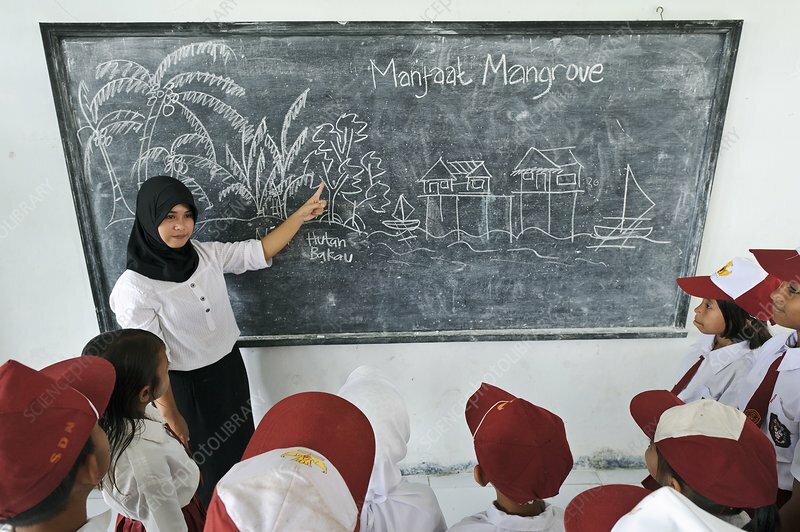 Children learning about mangroves during an environmental education class at a school. Photographed in Dudepo, Bolmong Selatan, Sulawesi, Indonesia.